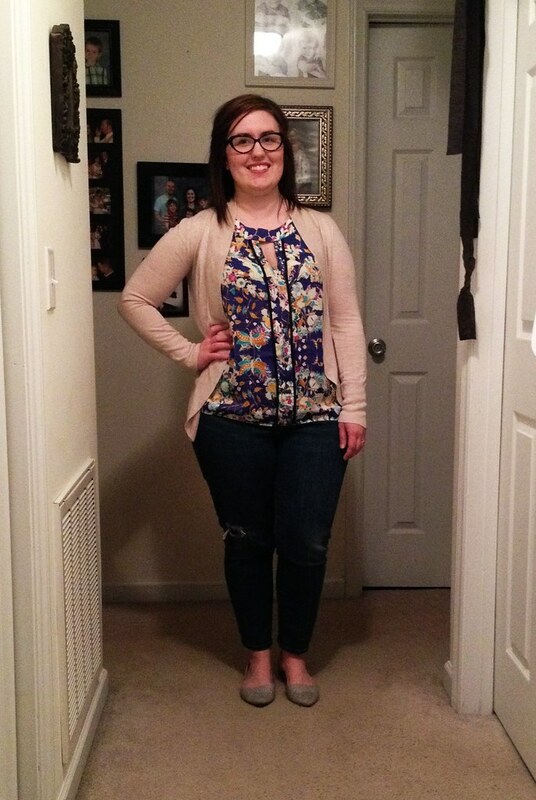 I have used my Stitch Fix referral link throughout this post. If you click through and purchase a fix, I will receive a $25 credit. Please don’t feel obligated to purchase through my link, but thank you if you do! I have to apologize for the grainy cell phone pics! I was so excited about this fix that we quickly snapped these and I started wearing some of the items the next day. I know the items I kept will pop up in outfits for a long, long time! This is a sheer, casual top that would be perfect with jeans, pants, or tucked into a skirt. I really wish this had fit me better, but the sleeves were an odd length. If I’d gone down a size, it would’ve been too tight in the chest region. This shirt fit perfectly aside from the sleeves. Sadly, I did not keep it. 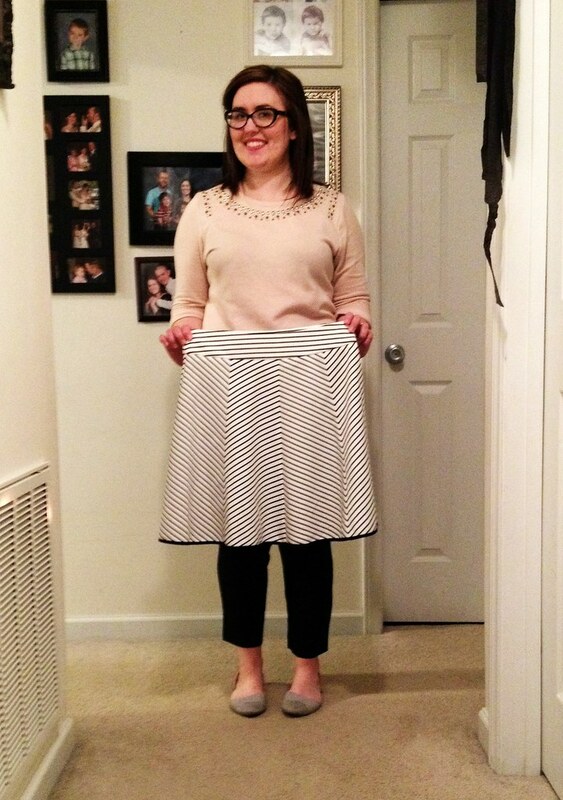 I asked for a spring skirt, and they delivered! I love black and white, but this skirt did not look good on me. The fabric looked stiff on me and it was shorter than I feel comfortable in. I did not keep this one, either. I asked for work pants when I found out Stitch Fix is now offering petite sizes. 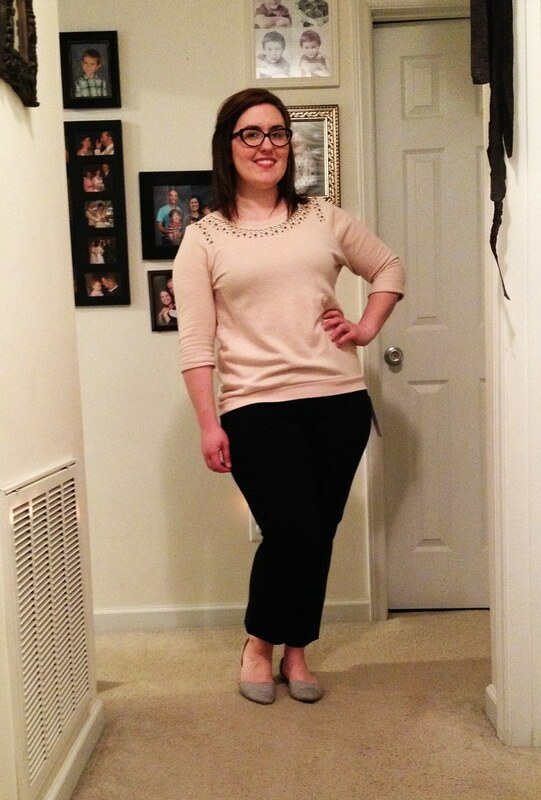 These Margaret M Emer pants are pretty popular right now, and I can see why. They are comfortable and, obviously, go with everything. My office is pretty cold, so I’ll be wearing pants a lot this year. I might as well wear pants I love! These are my new favorite work pants, and I plan on request more of these! I requested this top after I saw it in someone’s fix unboxing. I love this pattern. 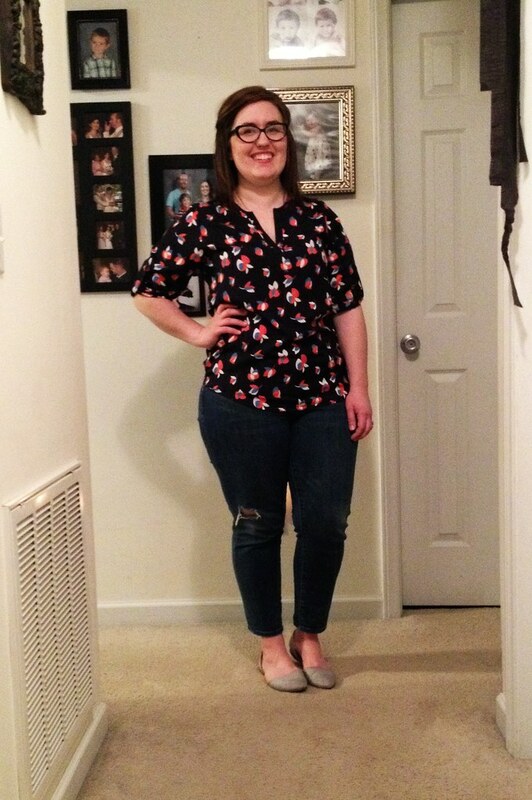 Even though the shirt is navy, this looks like a spring top for me. Definitely a keeper! Ahhh.. another request 🙂 I’ve seen this top everywhere and knew I would love it. Of course, I was right, and I’ve been wearing it at least twice a week since it came in the mail. So, I obviously went over my 1 item limit. I have two words: stress and shop. I have been stress shopping lately, but I am ready to reconnect with my budget goals next month in May. Well… to be honest, I’ve reconnected with them right now because I’m avoiding situations where I will spend money. But, May. May! I will be back to 1 item only in my fixes and thrifting (which I will have more time for in May). Happy Stitch Fixing! 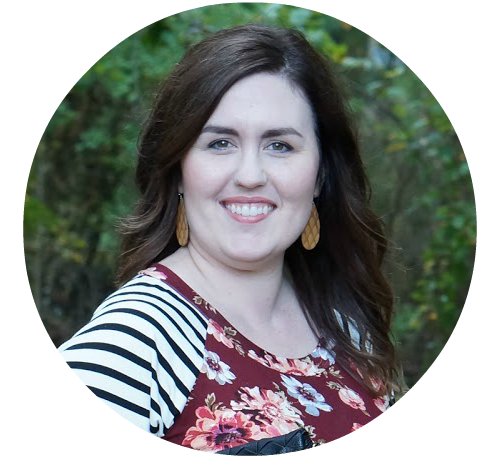 If you get Stitch Fix, I’d love for you to leave me a link to your latest fix. 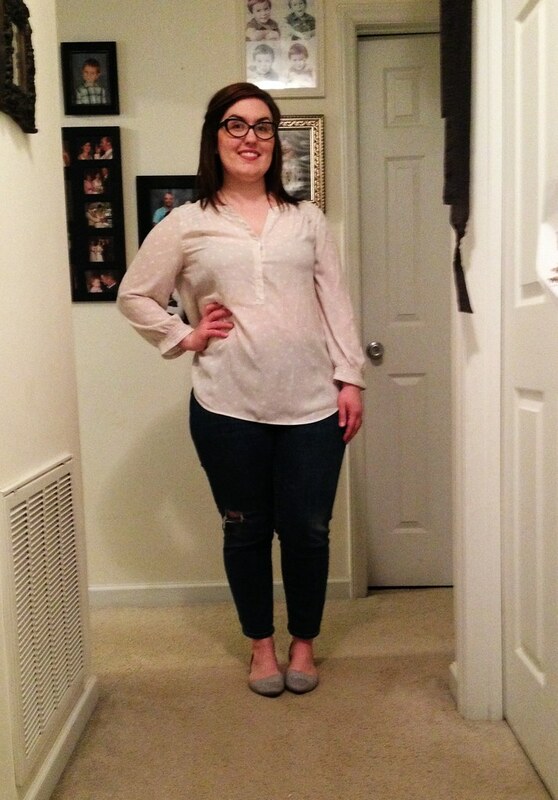 If you’ve never used Stitch Fix, I highly recommend it! It’s so much fun to have someone personally style a box for you.